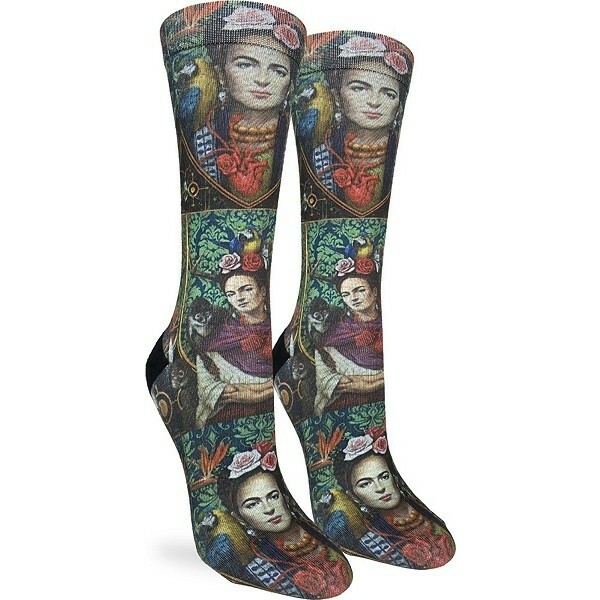 Pay tribute to the remarkable artist Frida Kahlo with these socks from Good Luck Sock. These 69% polyester, 13% cotton, 11% elastic, 7% Spandex socks have a reinforced heel and toe for better durability and just the right amount of stretch for all-day comfort. 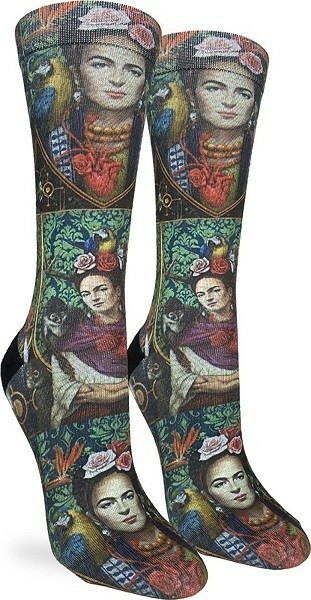 Available in one size which fits most women's shoe sizes 5 - 9.